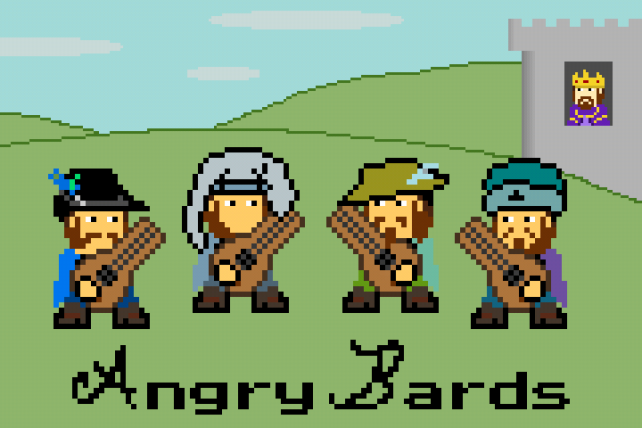 Angry Bards ($0.99) by Zach Hintze has you shredding the lute to trounce the king’s galoots. 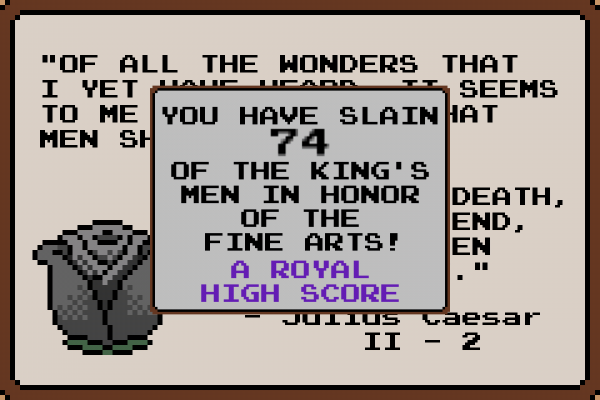 It appears the king has no sense of humor when it comes to satire, which is why he wants the angry bards and the arts that they represent to shuffle their mortal coil. He sends a host of troops and it’s up to you to stop them. 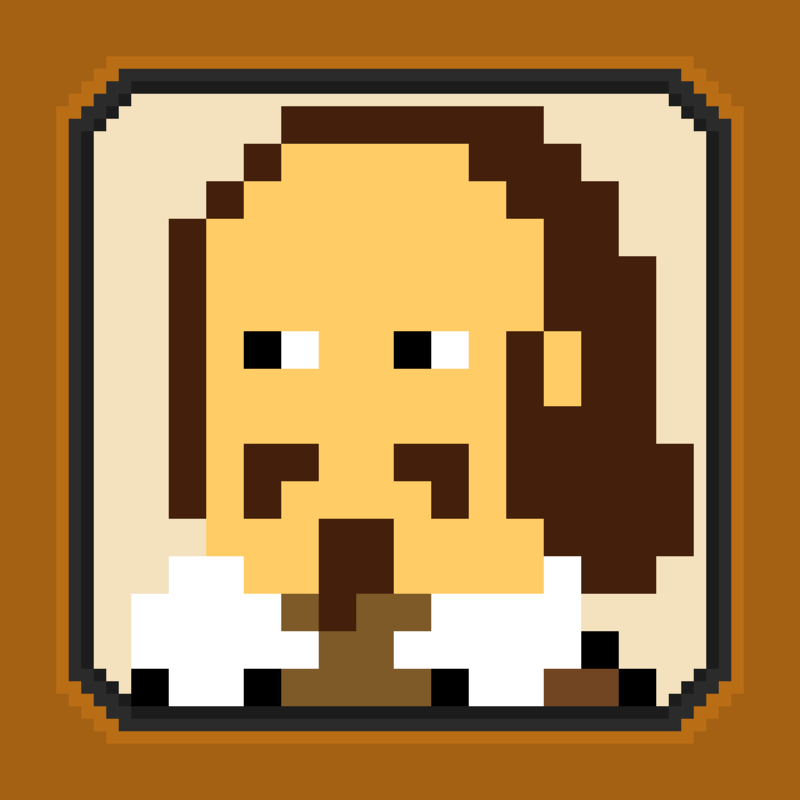 Tilt your iDevice to move the bards, and tap the screen to fire off musical notes in the direction of your touch. 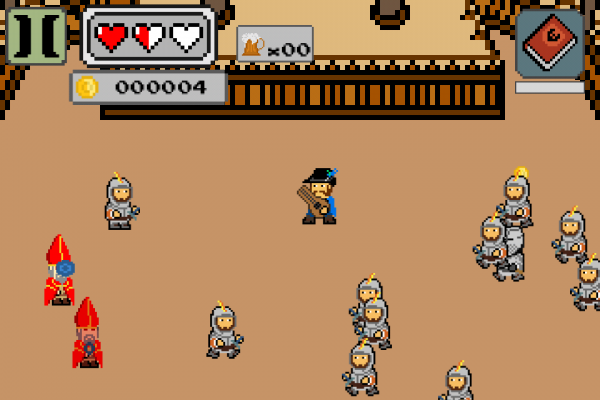 At the beginning, the bad guys will die from one hit, but the enemies become hardier to defeat with each level. 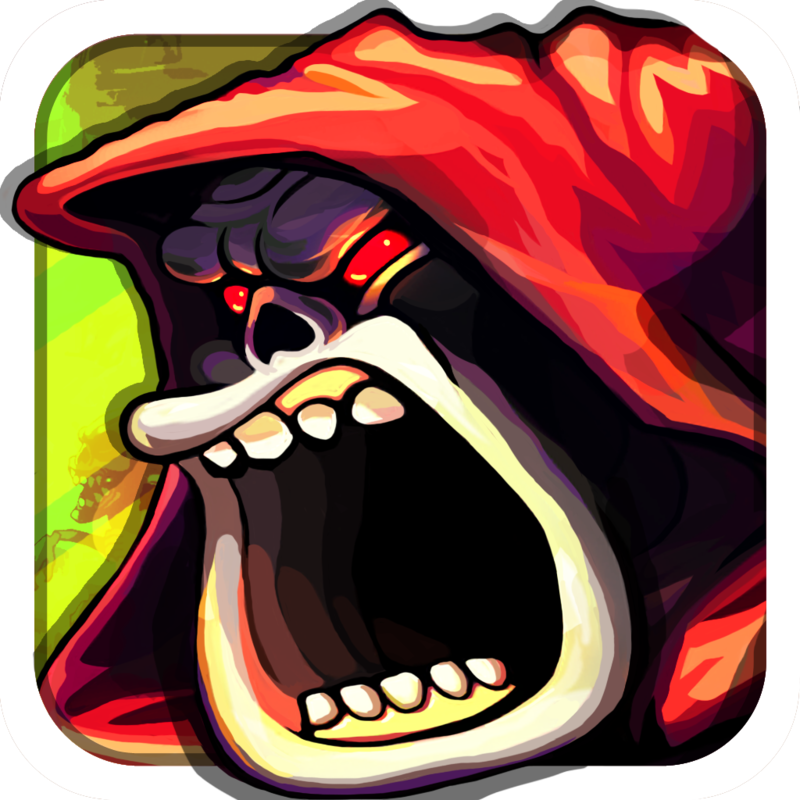 You will quickly become inundated with baddies, so you’ll need to keep your wits about as you fend them off. 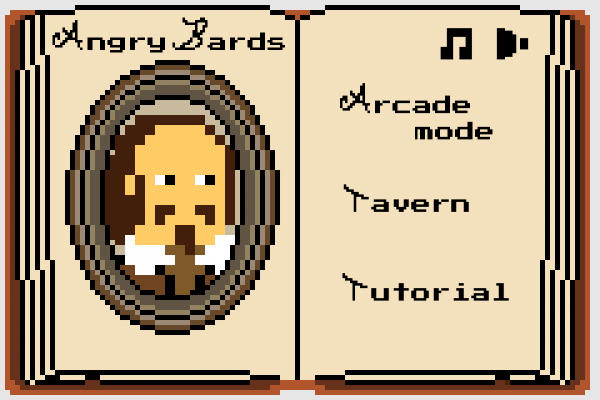 Visit the tavern to change how your character looks (including your choice of beard) and grab other items, such as books (acting as bombs), sheet music (affects your lute), and mead (health). 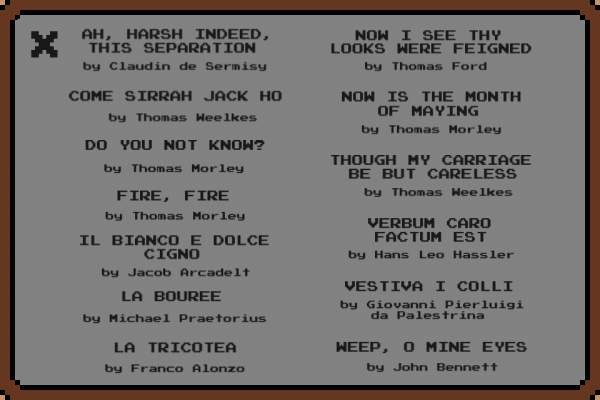 The books all match the game’s theme by showing a quote from one of Shakespeare’s tragedies. 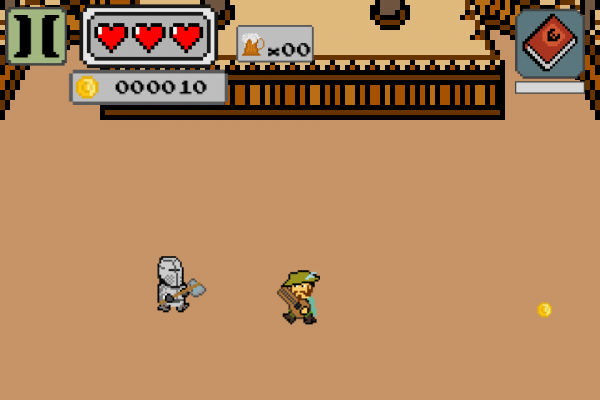 The background music matches the 8-bit graphics by being done in chipset music. You can even select which songs you’d like to hear in the settings menu. 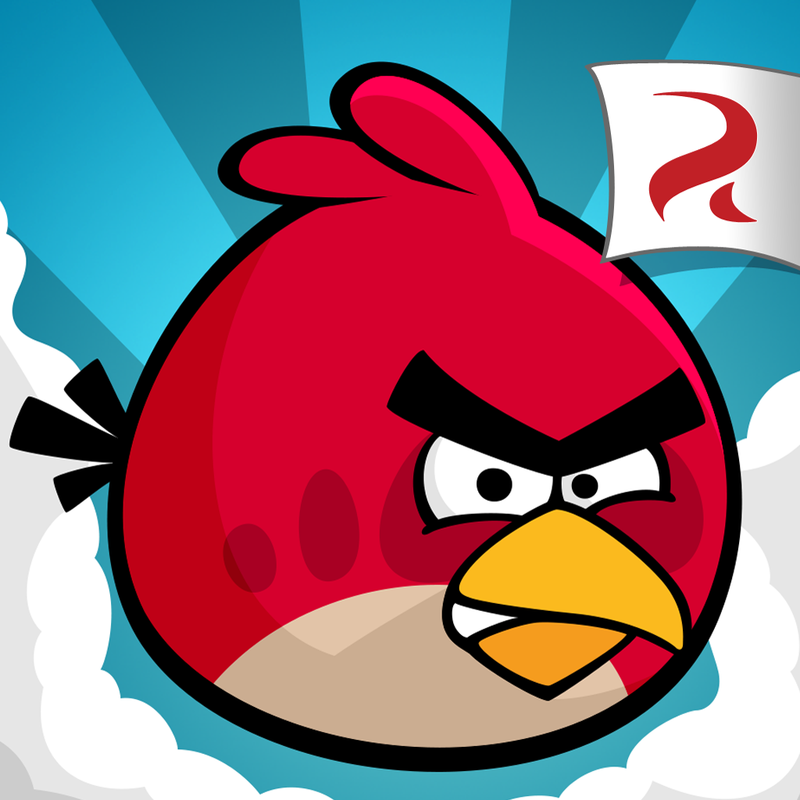 The game feels like it was put together just to be a pun of Angry Birds. With a title like that, the developer had to deliver a bard-like game, but that doesn’t translate to the same fun as the perturbed avians. Perhaps what is most lacking the ability to actually play music as you fire the notes from your lute, such as in Rock All Zombies. I think that by having each attack play a note in a scale, or with each note being part of a selected song (so that you play the song as you shoot) would enhance the gameplay. 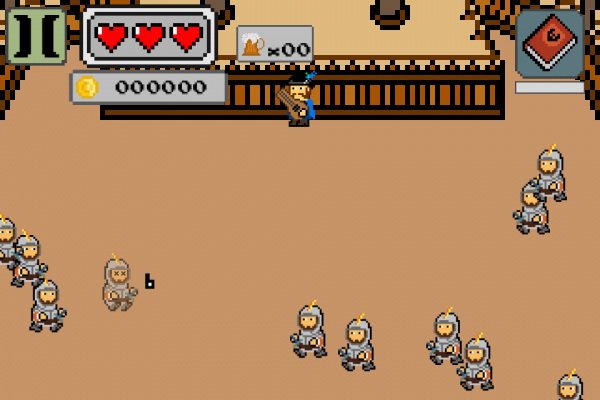 As it stands, this game is certainly a challenge as you try to fend off all of the king’s men (none of his horses, though). 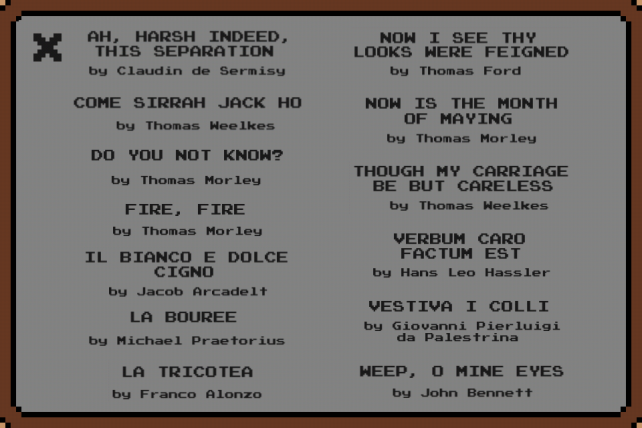 Those who like 8-bit graphic games will certainly appreciate this. 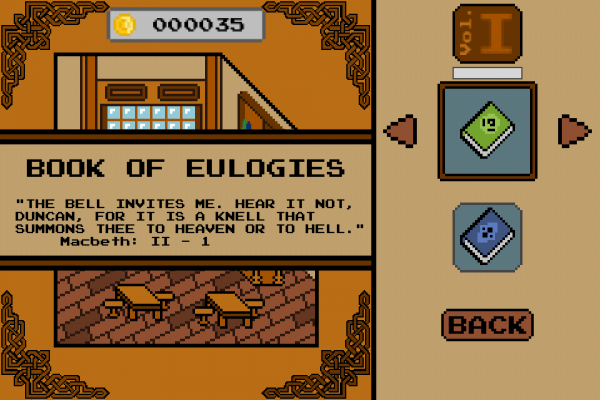 This game is available for the iPhone and iPad. Avail the App Store, m’lords and ladies.